Administrative Law Judge Adeniyi A. Ayoade, Office of Administrative Hearings (OAH), Special Education Division, heard this matter on February 27, 2012, in Cloverdale, California. Cloverdale Unified School District (District) was represented by Carl D. Corbin, Attorney at Law. Jennifer Coker, District’s Director of Special Education was present. District filed this request for due process hearing on January 19, 2012. OAH granted a continuance on January 30, 2012. At the hearing, oral and documentary evidence were received. The record was closed and the matter was submitted on February 27, 2012. 1 OAH served Parents with notice of the location, date and time of the due process hearing. Both Parents participated in the prehearing conference held on February 22, 2012, and confirmed the time and place of the hearing, and the Order Following Prehearing Conference, issued by the prehearing conference Judge, ALJ Troy Taira, was served on Parents. Further, on the day of the due process hearing, which was scheduled to begin at 1:30 p.m., Ms. Coker called Mother’s cell phone number at about 1:35 p.m., and left a voice message for Mother regarding the due process hearing. The ALJ delayed the due process hearing for about 20 minutes to allow Parents time to appear but they did not respond to District’s call or appear. 1. Student is a 12-year-old male who resides with his Mother within the geographical boundaries of District. Student first became eligible for special education and related services in May 2006 due to emotional disturbance. 2. Due to his disability, Student has received special education services, including behavior intervention services. His behaviors continue to impede his learning, education and academic performances. Based on his draft November 10, 2011 individualized education program (IEP)3, Student has deficits in emotional regulation that socials skills, and both “negatively impede” his ability to access general education curriculum. The IEP reports that Student curses “loudly” when angry, argues with peers and District’s staff and refuses to follow directions. Sometimes, he is physically aggressive towards peers. 3. Pursuant to Student’s last-agreed-to and currently implemented IEP dated March 24, 2010, Student currently attends Sierra School, a non-public school (NPS), due to his behavior issues, and his inability to regulate his behaviors in the public school setting. Sierra School specializes in the education of children with emotional disturbance. 4. Before any action is taken with respect to the initial placement of a child with special needs, a school district must conduct an assessment of the student’s educational needs in all areas related to his or her suspected disability. Thereafter, special education students shall be reassessed at least once every three years, unless the parents and the district agree in writing that a reassessment is unnecessary. Reassessment may be conducted more frequently if the school district determines that conditions warrant reassessment, or if a reassessment is requested by the student’s teacher or parent. A district may not reassess a student without first obtaining parental consent or an order from OAH allowing the district to reassess the student without parental consent. 5. Student’s last triennial reassessment for special education was conducted in April 2009. District is required by law to conduct his next triennial IEP review (triennial IEP) in April 2012. In preparation for the upcoming April 2012 triennial IEP, District developed an assessment plan dated December 15, 2011 (reassessment plan), in order to conduct the triennial reassessment of Student. Based on the reassessment plan, District would reassess Student in the areas of academic achievement, intellectual development, occupational therapy (OT) -motor development, and social/emotional skills. The reassessment would also include Student’s interview, and his observation the school environment. 2 The ALJ has restated the issue for clarity. 3 Parents have not consented to by IEP. 6. Based on the reassessment plan, and the testimonies of District witnesses, Student’s NPS’s school teacher would conduct his academic achievement tests, while the intellectual development tests would be administered by District’s school psychologist, Ms. Gail L. Austin.4 Sarah Field, a California-state-licensed OT specialist, would conduct the OT assessment.5 Both the NPS staff and Ms. Austin would perform the social/emotional skills assessments of Student. The interview and observation of Student would be done by both District’s assessors and the NSP staff. The record established that the assessors were appropriately credentialed in their respective areas of assessment and were appropriately qualified to conduct an assessment of Student. 7. Ms. Coker sent the reassessment plan to Parents, at their respective addresses,6 together with a prior written notice (PWN) on December 15, 2011. The reassessment plan and the PWN were sent to Parents by certified mail. The evidence showed that the mailed documents were received at Mother’s home on December 16, 2011. Ms. Coker followed up with Parents on December 21, 2011, through email, when she forwarded a copy of the PWN to both Parents. 4 Ms. Austin is a experienced and knowledgeable licensed school psychologist. She has substantial experience as a school psychologist, the position she has held for about 23 years. She received her bachelor’s degree in psychology from San Francisco State University in June 1974, and a master’s degree in psychology in January 1979. She has held the state-required pupil personnel services credential for school psychologists since 1977. She has served as the District’s school psychologist since 2000. Previously, she worked as a school psychologist for the Napa Valley Unified School from 1976 through 1988. Between 1988 and 2000, she was a full time parent and was not in gainful employment. She has experience conducting psycho-educational assessments, developing educational programs for special needs students, while collaborating and supporting other providers, teachers and parents, both at IEP team meetings and during the implementation and monitoring stages of students’ IEP’s. She has conducted over 1300 psychoeducational assessments, including social/emotional, cognitive, intellectual and behavioral evaluations, among others. She has participated in several services and intervention meetings, and attended over 1500 IEP team meetings. She has experience providing crisis and supportive interventions to special needs students and their parents. District offered Ms. Austin as an expert and she was accepted as one, in the area of psychoeducational evaluations of special needs students, the scope of such evaluations, the development of educational programs to address psychoeducational needs, and placements for special needs students. 5 Ms. Field works for Redwood Pediatric Therapy Associates, Inc., the non-public agency contracted by District to provide OT services to Student. 6 Parents no longer live together, and even though Student lives with Mother, both Parents are believed to retain rights to make decisions about Student’s education. 8. The PWN contained information regarding Student’s education program and services, and procedural safeguards required to be provided to Parents. The PWN advised Parents that Student’s triennial assessment is due by April 1, 2012, and that District would like to reassess Student in all areas related to his suspected disability, as described in the enclosed reassessment plan, as part of the triennial review. Parents were provided Ms. Coker’s telephone number should they have any questions, and were further advised to “immediately sign and return” the reassessment plan so District may begin the reassessment of Student. To date, Parents have not consented to the reassessment plan. 9. Because Parents were not present at the due process hearing, and Student was not otherwise represented, it is not known why Parents are withholding their consent for the proposed reassessment. Nonetheless, District established that the requested reassessment of Student is essential to its ability to continue to provide Student meaningful educational benefits through its programs. 10. Ms. Coker and Ms. Austin testified credibly and corroboratively that, in addition to the fact that the triennial reassessment is required by law, conditions warrant reassessment of Student. Ms. Austin is familiar with the Student, and has a good understanding of his disability and unique educational needs. Ms. Austin first met Student around March 2009, when she first observed and assessed him for the last triennial reassessment. As part of her March 2009 triennial reassessment and review of Student, Ms. Austin assessed Student in the areas of academic achievement and social/emotional skills, among others. In the last three years, she has attended at least nine IEP team meetings involving Student. 11. Student’s principal area of challenge is his social/emotional responses, which continue to impact Student’s academic performance and achievement. Ms. Austin and Ms. Coker collaborated in developing the reassessment plan. Both believe that District requires updated information in the areas of academic achievement, intellectual development, motor development, and social/emotional skills, as identified in the December 15, 2011 reassessment plan, in order to continue to provide Student with a free appropriate public education (FAPE). Student’s last triennial assessment included all of these areas, and thus reassessment is needed, Ms. Austin explained. 12. Ms. Austin explained that an assessment of Student’s intellectual development is useful as it would enable District to evaluate the impact of Student’s social/emotional issues on his cognitive reasoning and learning abilities. Further, she explained that the OT (motor development) reassessment is included in order for District to evaluate Student’s continuing eligibility for OT services. This is because Ms. Field had suggested, in her OT Progress note dated October 21, 2011, that Student may no longer require OT services in order to continue to receive a FAPE.7 Ms. Austin explained that before the IEP team could reduce and/or terminate Student’s special education OT services, a comprehensive OT assessment of Student’s OT is required. 13. Both Ms. Austin and Ms. Coker persuasively testified that because it has been about three years since Student received a comprehensive reassessment in the identified areas of needs and concerns, new and updated information about Student is required in order to understand his current strengths, challenges and continuing unique educational needs. Both explained that in order to develop an appropriate IEP for Student, updated information regarding Student’s present levels of performance (PLOP’s) and education needs must be obtained. Thus, District was persuasive that reassessment in all proposed areas is essential to the provision of FAPE to Student. 14. According to District’s witnesses, the reassessment would shed needed light on the changes that may have occurred in Student and his unique needs since the last triennial reassessment that was completed in April 2009. Both Ms. Austin and Ms. Coker established that without obtaining updated, relevant and accurate baseline information about Student’s PLOP’s and his unique educational needs through the proposed reassessment, it would be difficult to develop an appropriate triennial IEP that would offer Student a FAPE. The witnesses were found credible, and their testimony is persuasive. 15. Overall, the evidence established that District prepared a written reassessment plan that meets the requirements of the Education Code.8 Pursuant to the plan and PWN sent to Parents, District advised Parents that the reassessment results would be reviewed by the IEP team meeting once completed. Further, as required by law, Parents were advised that no special educations services would be provided to Student without their consent. The reassessment plan, together with the other communication, was written in English language (the native language of Parents), and were in the form that is easy to understand by the general public. Through the reassessment plan, the Parents were informed of the specific areas that District would assess. The information regarding the proposed assessment/reassessment was clear and specific. 7 Ms. Field noted in the OT progress report that Student was initially referred for OT services due to limited written output and poor focus on schoolwork, among others. Now, Ms. Field explained that based on her limited observation of Student, and discussion with Student’s teacher, Student appears to be doing well. His writing was organized and legible. His grasp was functional. When observed, Student was using a mechanical pencil with no lead breakage. 8 See Education Code sections 56321, subdivision (a) and (b), and 56329, subdivision (a) (1). 4. A reassessment requires parental consent. (20 U.S.C. § 1414(c)(3); Ed. Code § 56321(c).) To obtain consent, a school district must develop and propose to the parents a reassessment plan. (20 U.S.C. § 1414(b)(1); Ed. Code § 56321(a). If the parents do not consent to the plan, the district can conduct the reassessment only by showing at a due process hearing that it needs to reassess the student and is lawfully entitled to do so. (20 U.S.C. § 1415(b)(6)(A); 34 C.F.R. § 300.505(b)(1999); Ed. Code §§ 56321(c), 56501(a)(3), 56506(e).) Accordingly, to proceed with a reassessment over a parent’s objection, a school district must demonstrate at a due process hearing: (1) that the parent has been provided an appropriate written reassessment plan to which the parent has not consented, and (2) that the student’s triennial reassessment is due, that conditions warrant reassessment, or that the student’s parent or teacher has requested reassessment. May District Conduct a Reassessment of Student in Accordance with its Triennial Assessment Plan of December 15, 2011, Without Parental Consent? 6. As determined in Factual Findings 4 through 10, and Legal Conclusions 3 through 5, District’s December 15, 2011 written reassessment plan sent to the parents comports with the law regarding the reassessment of special needs students. The plan included pertinent information regarding the proposed reassessment and parental rights. The plan was written in the English language, in specific terms and an easily understandable form. The evidence established that plan’s proposed assessors, including District’s school psychologist -Ms. Austin, Ms. Field -the OT specialist, and other credentialed NPS teachers of Student, are qualified assessors and specialists, who may administer the various assessment tools that were identified in the reassessment plan. 7. Parents were adequately informed of the fact that once completed the reassessment result would be reviewed by the IEP team meeting including Parents, and that no special education services would be provided to Student until Parents have agreed that Student should receive such services. The information regarding the proposed assessment/reassessment was adequate, clear and specific. There was no evidence that Parents contacted District with any questions or otherwise communicated any concerns about the proposed assessments. In addition, the evidence established that District’s PWN to Parents also complied with the law and contained sufficient information. 8. As determined in Factual Findings 11 through 15, District cannot fully measure Student’s present levels of functional performance, or exit him from any specific special education service without reassessing him. 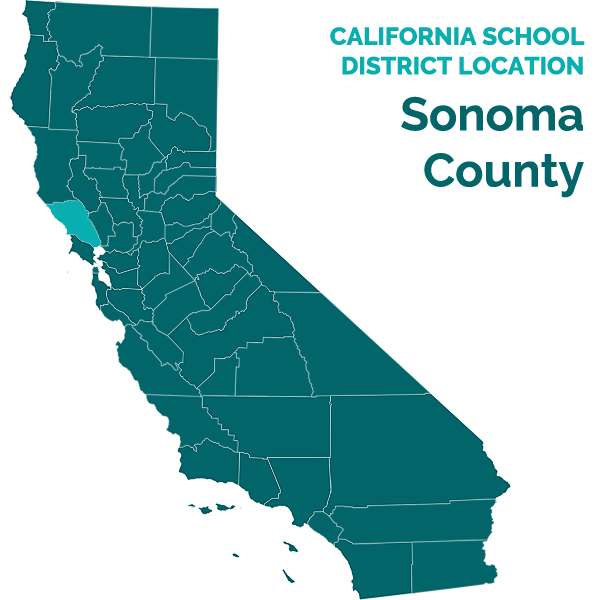 The evidence established that the information sought in District’s proposed reassessment would enable District to obtain relevant information about Student’s needs and present levels of functional performance in all areas requested. The information would further enable District to develop appropriate baselines and goals, offer appropriate services and supports, and enable District to ultimately develop an appropriate educational program that offers a FAPE to Student. 10. As determined in Factual Finding 13 above, District seeks an OT reassessment in order to determine whether Student continues to require special education services in the area of OT. Pursuant to Legal Conclusions 9 above, because District is required to reassess Student before determining that Student is no longer eligible for OT services, District may not stop Student’s special education OT services until a reassessment of his OT needs has been completed, and an IEP team meeting held to review the results. Thus, while Ms. Field suggested in her OT progress report dated October 21, 2011, that Student may no longer need OT services in order to receive educational benefit, Student’s IEP team members may not legally act on discontinuing Student’s OT services until Student’s OT needs have been reassessed. A decision to discontinue a particular special education services must be based on, and supported by, the reassessment results. Therefore, District established that an OT reassessment of Student is required, and that it is entitled to reassess Student’s special education OT needs. As a result of that assessment, the IEP team, including Parents, may determine whether Student still requires OT services to progress in school. 11. Overall, according to Factual Findings 1 through 15, and Legal Conclusions 1 through 10, the evidence supports a finding that District is entitled to conduct a reassessment of Student in all areas proposed in the December 2011 plan. District may proceed to conduct the reassessment sought in this hearing without parental consent. 1. District is entitled to reassess Student in accordance with its December 15, 2011 reassessment plan. 2. District shall notify Parents in writing of the date(s) and place(s) of the reassessment of Student at least fifteen calendar days before the reassessment begins. 3. If Student wishes to receive special education benefits at public expense, Parents shall make Student reasonably available for the reassessment.